I’ve said it before, that I’m not a fan of macarons. They’re too sweet, and I don’t really like the texture of the shells… but they are so much fun to make! Baking to me is a sacred art, one that removes me from this realm and takes me onto another plane of peace and calm and sugar and happiness. So on a particularly bad day, I tackle the most complicated recipes. 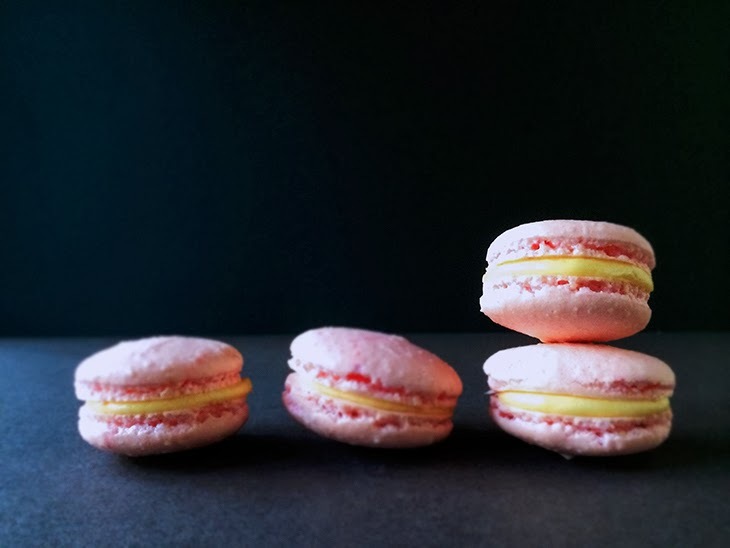 A lot of my baker friends ask how I have the patience to work on macarons, but really… it’s so calming. The fact that you need to be 100% focused on the task, and then to have all the conditions around you at just the right state… and after all that concentration, when you peek into the oven after 10 minutes and see the little “feet” forming… it’s like pulling off magic. 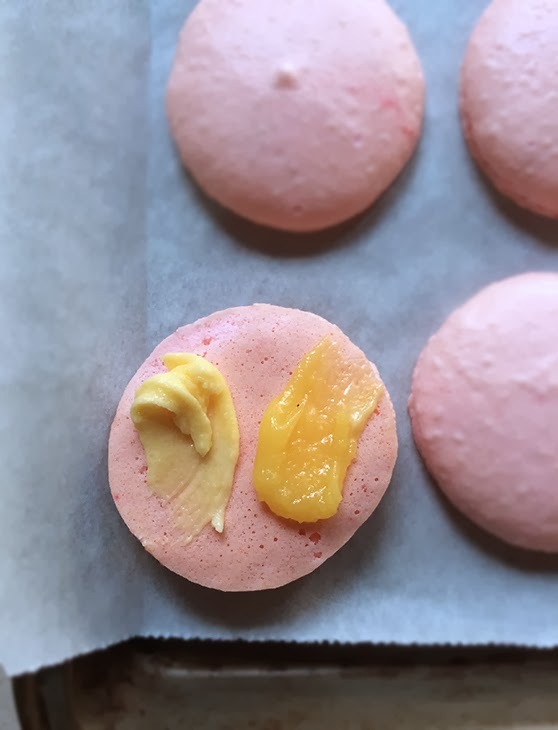 I made these little pink macaron shells to fill with passionfruit curd and leftover passionfruit cream cheese frosting. They followed a particularly difficult work week, and I realised how completely stress free I had become while snapping pics of these little delights. 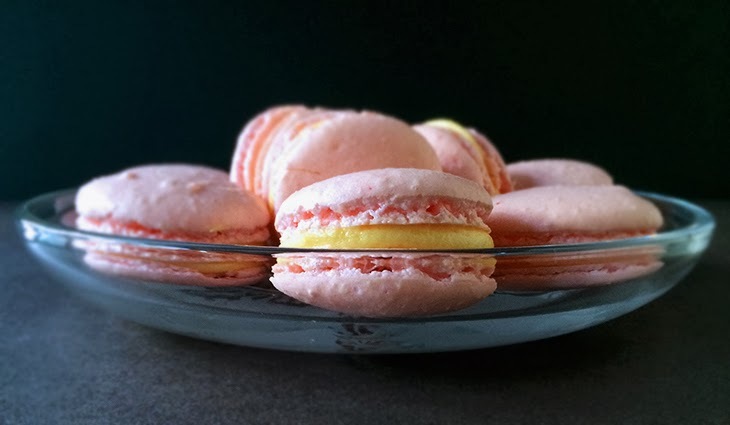 I might have to make more macarons tonight.